Looking to connect with Tri- State parents? You’ve come to the right place! 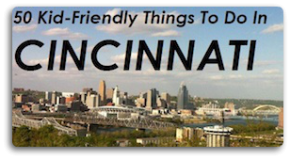 Each month Family Friendly Cincinnati receives an average of 25,000 page views from moms, dads and even aunts and uncles looking for information on kid friendly things to do and places to go in Cincinnati. Our readers live all over the Tri-State, with children of all ages, and they enjoy getting out and experience the city’s offerings. In addition to the Family Friendly Cincinnati website, we’ve got an eNewsletter with 3,380+ subscribers and we’ve got a growing community on Facebook that is over 11,600+ fans, just over 7,200+ followers on Twitter, 1400+ followers on Instagram, and 2,400+ followers on Pinterest. If this sounds like an audience you’d like to promote your event or business to, and you’d like to work with us, email us at [email protected] for more information and a copy of our media kit. 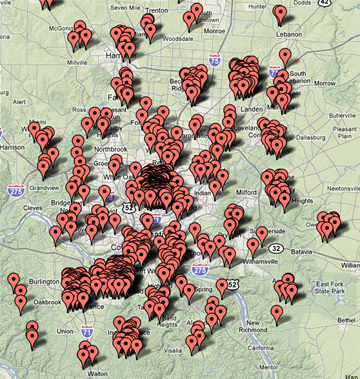 Family Friendly Cincinnati also hosts regular giveaways for it’s readers. If you, or a company you represent, would like to provide an item for giveaway, contact us at [email protected]. Items should be targeted towards families, children or Moms & Dads.